Has anyone been to Urban Outfitters lately? 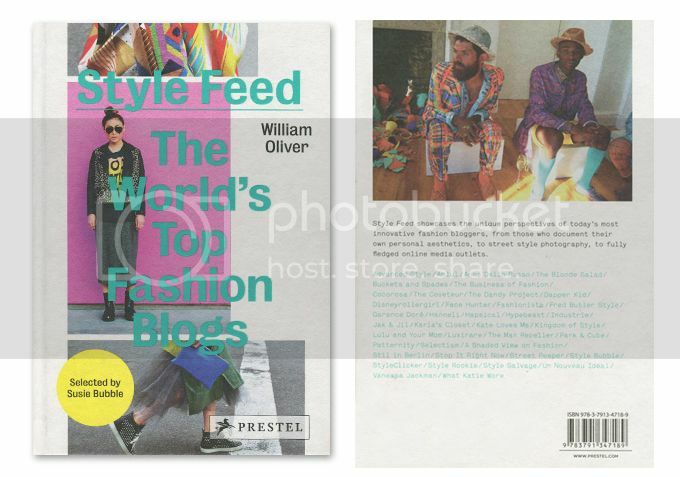 You might have run into a new, very blog related book by William Oliver and selected by Susie Bubble; Style Feed, The World’s Top Fashion Blogs. Style Feed is a Creative “Tour de Force” curating an eclectic mix of amazing blogs selected by Susie Bubblelike the Man Repeller, Fred Butler Style, Style Rookie, the Coveteur, amlul, Dapper Kid, Disneyrollergirl, Hapsical, Park&Cube, Jak&Jil, Luxirare, Hanneli, Garance Dore …. and and… me… OMGz cocorosa izz in a bookz! Oh, I waited so long writing this post because I find it so hard to even tell you how honored and happy I am to be featured in this book amongst these creative and original blogs and I find writing about features always so hard anywayz, I really pondered for day’s about what to write! ps. You Can Shopz the Bookz here, here and here! Bought this book some weeks ago – I love it! I wish I could buy it. And you deserve it – congrats! wauw super gaaf ik heb toevallig net dat boek terug gebracht naar de bieb, er staan zulke mooie dingen in, gefeliciteerd! I’ve seen you! You fit in there perfectly! Yeah, because obviously I’m Asian too.. you silly silly racist. love this kind of posts because you end up knowing more people and find out great inspiration!Thanks! … and this is where I found your blog!